Natalia Goncharova was called the evil genius of the great poet and she was blamed for his death. It was claimed that she never loved Pushkin and did not understand poetry. They said that their marriage was a marriage of convenience. Nobody wanted to notice that Pushkin and Goncharova just loved each other. The most incredible page in Pushkin’s biography was his marriage with Goncharova. In the life of the great Russian poet it could not be the forgiving love, infinite tenderness, family idyll, dirty diapers. We’ve learned that his life consisted of endless love affairs, African passion and early, absurd death. All this, of course, was in his biography. The tragedy of the poet was not related to his wife – he had sought the death. It was just a fateful coincidence. Many people blamed Natalia and she never tried to justify herself. Nobody could punish her harder than herself. Although Natalie didn’t deserve the punishment. Meeting his future wife in any case was not fatal for Pushkin. It was a gift of fate, illogical and unexpected. A few years of great love before his death, few poets were so lucky. And the most amazing thing was that at first their marriage was supposed to be a marriage of convenience. But only until both realized that they loved each other. On the eve of his thirtieth birthday poet suddenly decided that he should get married by all means. He wasn’t going to wait for “big and pure love”. Charming and temperamental descendant of African prince was able to convince any woman in his eternal love. Pushkin had never had a real family. 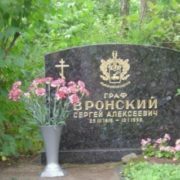 Everyone has read poems dedicated to his nanny Arina Rodionovna, but who knows at least one poem, which the poet dedicated to parents? He wasn’t particularly close neither to his mother nor to his father. It was only known that Pushkin loved his younger brother Leo. Alexander began to dream about the perfect family that he had to create. 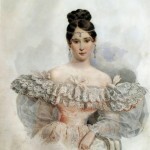 Goncharova was not the first candidate for the role of “mistress”. The poet once called his wife “one hundred and thirteenth love”. Poet wasn’t handsome and often called himself “ugly descendant of blacks”, his height was only 5′ 5″ (165 cm). But his energy, wit and talent attracted women. 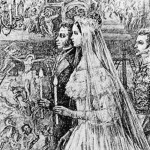 In 1826 he was going to marry his distant cousin Sophia Pushkina. 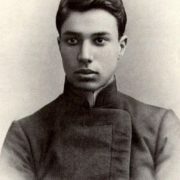 However, the poet had to leave St. Petersburg and the bride married another man, Nikita Panin. A year later, he met Ekaterina Ushakova, but she rejected his advances. According to legend, gypsy predicted that he would die because of his wife. 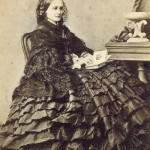 Ushakova was superstitious and did not want to be blamed for his death, and decided to stay away from him. 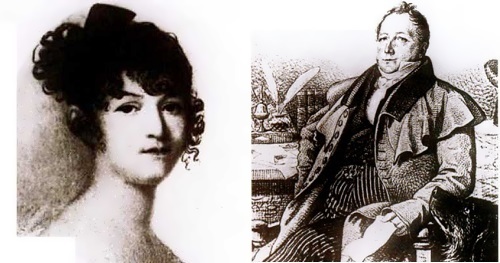 And in 1828 the poet proposed to Anna Olenina, daughter of the president of the Academy of Arts. But the bride’s father refused to give his consent to the marriage. 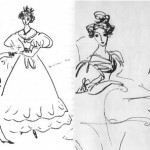 Everything changed in winter 1829, when Pushkin first saw Natalia at a ball. She had just turned sixteen years old and was as beautiful as ancient goddess. Goncharova was born on August 27, 1812, in Tambov province. Then she moved to the huge family estate with historic park and thirteen ponds. It wasn’t easy for a little girl to live with her parents. Her father, Nikolai Afanasevich, was an alcoholic (although according to the official version, he just hit his head after falling from a horse and suffered from brain fog). A mother was nervous and irritable. First appeared in the society, Natalie was closed and shy. Many people thought that she just had nothing to say. In fact, Natalia was not only smart, but also perfectly educated. She knew French, German and English languages, history, geography, played chess well. And since childhood she was remarkably beautiful. 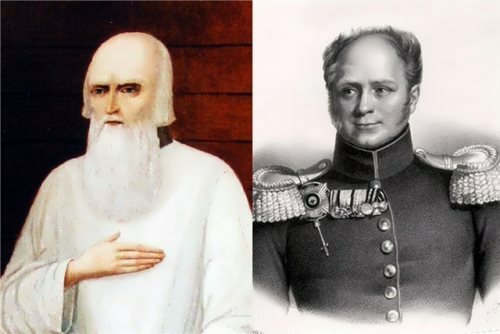 Thanks to Pushkin’s friend Fyodor Tolstoy, the poet became a frequent guest in the Goncharovs’ house. But relationship with his future mother-in-law wasn’t good. She was known for not only difficult character, but also for fanatical religiosity and did not approve of Pushkin’s dissent. Therefore, when the poet asked for Natalia’s hand, mother said she was too young to get married. Pushkin fell into depression and went to the Caucasus. There was a war there. 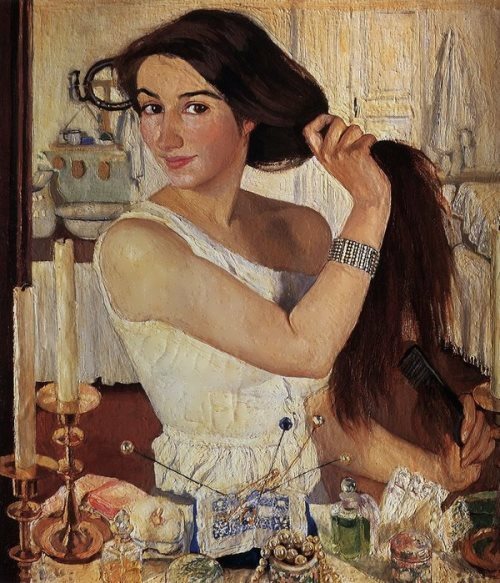 Pushkin wrote to Goncharova: “When I saw her for the first time, I fell in love. I asked for her hand. Your answer nearly drove me crazy. 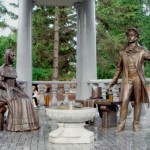 The same night I went to the army.” In April 1830, after returning to Moscow, Pushkin again made a marriage proposal. And the parents gave their consent. 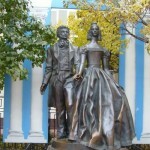 Pushkin and Natalia really loved each other. 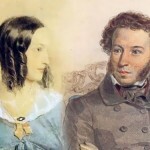 It was a brilliant couple – the greatest Russian poet and the first beauty of Russia. “I am married and I am happy”. Soon they left Moscow (Pushkin didn’t like it, “here I become stupid”) for St. Petersburg. 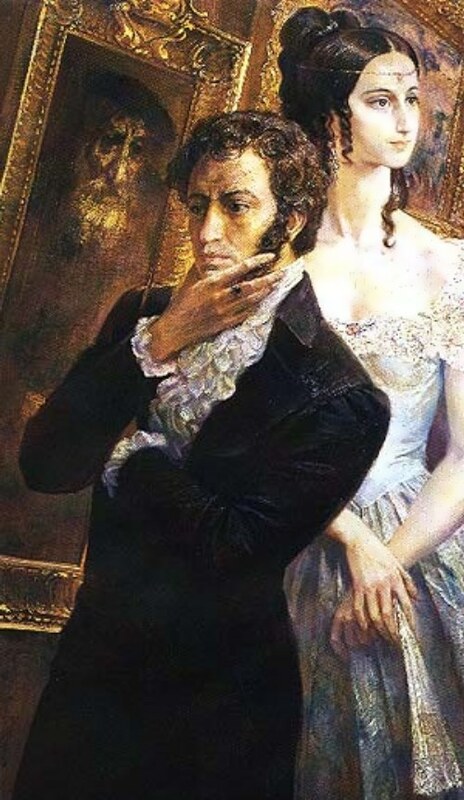 Pushkin’s wife was almost constantly pregnant or stayed home after the childbirth – for five years of marriage she gave birth to four children. There were no signs of trouble. Alexander and Natalia were happy with each other. The poet never doubted the fidelity of his wife. Although, there were a lot of rumors. 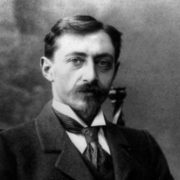 Charles Georges D’Anthes, the adopted son of a homosexual Gekkeren, really courted Natalie, but neither she nor her husband did not take this seriously. D’Anthes even married Natalia’s sister Ekaterina to be closer to the object of his passion. Pushkin worried about his reputation. And he was blind with rage when he was elected as coadjutor of the Order of cuckolds and when there were rumors about his wife’s infidelity with the Emperor. 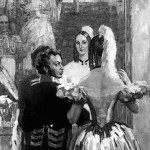 Nicholas I was indeed among Natalia’s fans and wanted her to dance at balls, but as a writer Pushkin was not allowed to come, his wife also didn’t appear there. All rumors only increased poet’s depression. Love to Natalie had not killed the poet. On the contrary – perhaps it gave him a few years of life. Wife and kids made him to cherish life. But then Pushkin began to seek death. In 1836 he tried to fight a duel three times. The essay was an ordinary literary hoax. But the legend was believed in, because it was very close to the truth. Pushkin’s death was actually a suicide. When mortally wounded Pushkin was brought home, most of all he was worried about his wife. Before his death the poet said to his wife: “Wear mourning for two or three years. Then marry a good man”. A few hours later he died. The widow fulfilled the last wish of her husband. 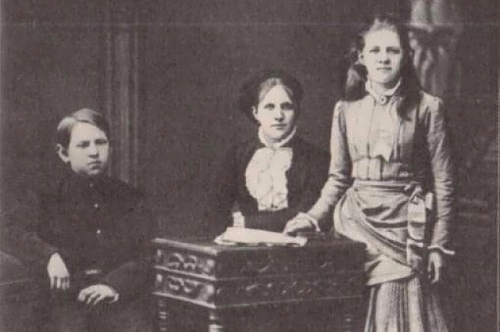 In 1839, Natalia returned to St. Petersburg, but only the closest friends knew about it. 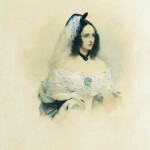 Her seclusion lasted until 1844, when Natalia appeared in opera for the first time after the death of Pushkin. Then she met Pyotr Petrovich Lansky. A year later Goncharova-Pushkina married him. Did she love Lansky? Probably yes, though not as she loved Pushkin, but as a loyal and trusted friend. And until her death Natalia could not forgive herself for the death of Alexander.